You never quite know who you're looking at. The Father of lies has lots of tricks. Catching terrorists today means Muslim extremists. Tomorrow it means catching Christians, alt-right, and anyone presumed guilty of crime-think. But we who are innocent as doves and shrewd as snakes know some of their tactics can become our tactics. We're not masters of deception. But beginners. So we must become masters of detecting it. We're not masters of mass media. But we can learn. Part-Ashkenazi Pastor Anderson has disguised his anti-white and anti-white supremacist crusade as an anti-Jewish Baptist movement which regards ultra-white Iceland as the most sinful place on the planet. But rest assured... all the places where Anderson predictably departs from the Bible are pointed out by Psalm 119 ministries and others in the very nerdy series, The Pauline Paradox. For the layman, when Jesus says "every jot and tittle of the law", that's exactly what he means. The verses from Paul's letters can't wave that away, even if he did contradict Christ. Which he did not. In my opinion, one reason gentiles are grafted in is so Jews can't decree that whites are gentiles. Instead, they've decided we're cattle, and therefore property. Anderson's opinion on animals is one step away from enslaving and exterminating whites on the basis that we're animals. He (again, predictably) steps away from all the pro-animal and even vegetarian verses. 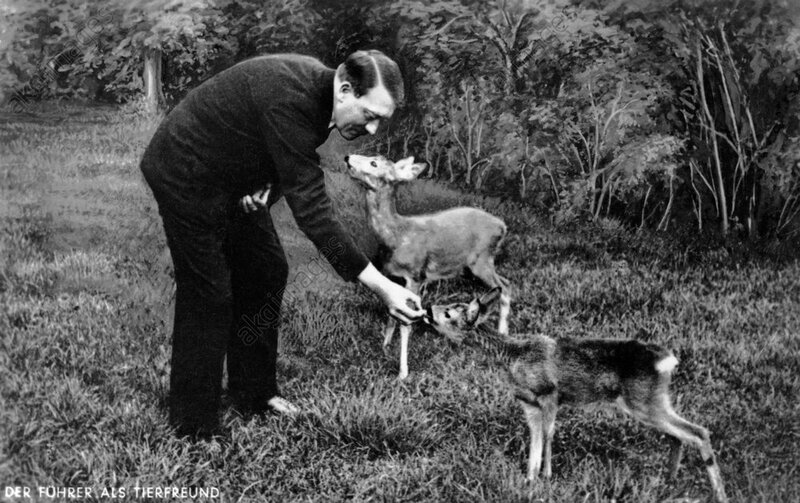 In this regard, animal conservationist Adolf Hitler is a better Christian than pastor Anderson. What can I say? Compassion must not be in his blood. Nowadays, I'm convinced magazines portrayed the hero of World War II kindly so as to appear objective when "shocked" by "the news" later of on. Jesus warned us about the Father of lies. The lying press would of course be run by none other than the synagogue of Satan. As always, even a magazine cover is simply a disguise for something else. When we disguise our movement in its hundred forms, we can bring Christ's message of love and forgiveness. Not the SJW kind. We can show them the love is Germany laying down its life for the sins of Americans. Quite frankly, we may need to disguise ourselves as something other than people who love our brother. Because loving your family, your brothers, and the people of your ancestors can get you fired, if you come from the wrong family. U.S. Representative Steve Scalise has been shot in Alexandria, VA. Probably for being too white. And is undergoing more surgery. Well because we ignored "every jot and tittle" of God's law and didn't bring our rebellious children to the elders to have them put to death. AntiFa is no good. They hate life. They serve Satan. God is right. In my opinion, they should be taken before the elders and put out of their misery. I say my opinion, but it's really God's opinion, so I can't take credit. God's judgment is proved perfect once again. It's the only just, humane, and compassionate course of action. If you don't do what God commands, and drag off your AntiFa children to the elders to be put to death, then they will succeed at provoking a backlash. And then 10 million to 100 million Christians, mothers, sisters, brothers, will probably die in America alone. This is what history teaches us about Communism and its AntiFa disguise. It is evil on the largest possible scale. So-called "Jews" (who aren't even real Jews, according to a world authority on Jews known as Jesus of Nazareth) have 101 ways to disguise themselves. The devil has many names. Most of them stolen from us. And though George Lincoln Rockwell may disagree with me, the best way to disguise effective advocacy for white interests that's ever existed (so secret even whites don't know it) is a little thing called the Bible. And the Bible gives us at least 101 ways to do it.